The Sterling Tactical Rotation Strategy seeks to provide absolute returns during any market cycle or condition by employing an equally-weighted strategic model that rotates between U.S. Bonds, commodities, REITs, cash, as well as international and domestic equities. The majority of asset managers resemble their benchmark, but we believe outperformance is best achieved by rotating into market leaders. 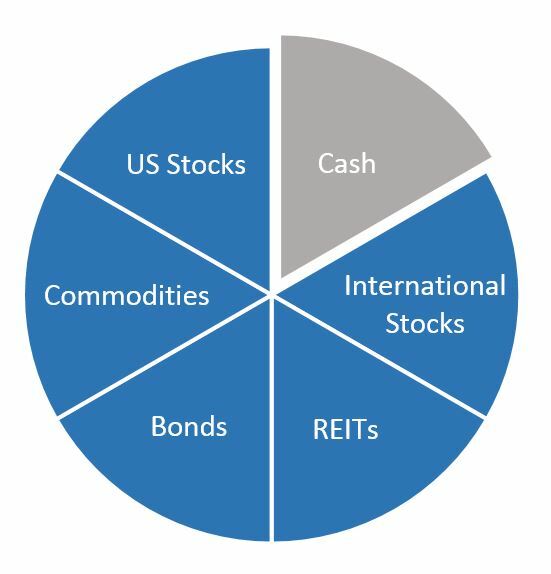 The strategy attempts to identify the asset classes experiencing long-term bull markets and to try to avoid those asset classes in extended bear markets. By using intermediate-term trend analysis and a tactical investment process, Sterling Tactical Rotation Strategy’s goal is to add alpha and seek a low R-Squared against applicable market indices. It also strives to mitigate market volatility by utilizing a go-to-cash risk management algorithm that allows for the rotation of up to 100% of assets into cash. The Sterling Tactical Rotation Strategy intends to replicate the Sterling Tactical Rotation Index. An investor should consider the investment objectives, risks, charges and expenses of the underlying investments carefully before investing. The prospectus should be read carefully before investing in the overall strategy utilizing these investments. Click the button below to see related prospectus information for investments utilized in our strategies.